These top 5 titles are hugely entertaining and have broad appeal, even though they cover a wide variety of topics, themes, and perspectives. Despite their variety, they all have two crucial things in common: they’re really good, and are perfect for the beach, pool, or backyard. These stories will keep you turning the pages, sure, but they also have substance. While easy to read, these titles are wonderfully thought-provoking and discussable. 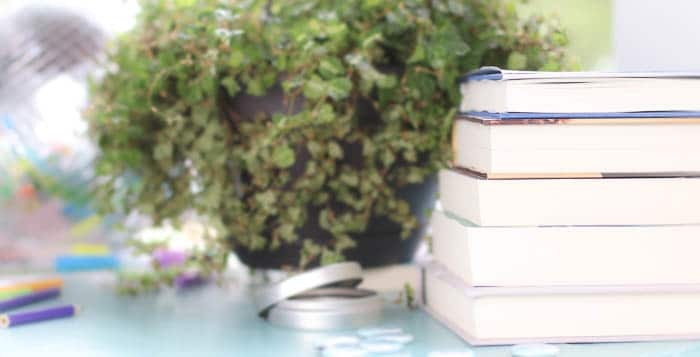 If you want to read these with a book-loving community, we’ll be reading through these titles together this summer in the Modern Mrs Darcy Book Club. We’re about to release our Summer Syllabus, which makes now a terrific time to join. "You lied. Luke lied. Be at the funeral." Federal Agent Aaron Falk is summoned home with these words after his best friend Luke dies in a heartbreaking murder-suicide, turning the gun on himself after killing his wife and 6-year-old son. Falk obeys—but he can't believe his best friend could have done such a thing, and so he starts digging, dragging long-buried secrets back to the surface. The setting is the drought-ravaged Australian Outback, and the brittleness and heat are almost palpable. Imagine an Australian Tana French, and you've got this stellar debut about right. (Psst—we're talking with the author in the MMD Book Club this summer.) Publication date: January 10. I can't do better than my bookstore-owning friend Holland to sum this one up: Imagine The Help meets Comic Con, and you've got this story about right. Talented graphic novelist Leia finds herself unexpectedly pregnant after a drunken one-night-stand at a comic book convention. She doesn't know the father's name, but he looked awfully cute in his Batman suit. As Leia absorbs the knowledge that she'll soon be a mother to a biracial baby, she is summoned home to Alabama to do what she can for her struggling family—her stepsister's unraveling marriage, her grandmother's worsening dementia, and a shocking secret hidden in the family attic. This is a fast-reading, big-hearted novel that tackles Serious Issues really, really well—while spinning a terrific story. Publication date: July 11. 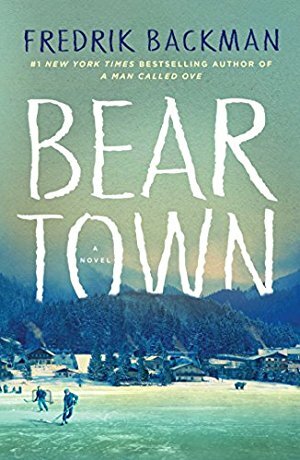 I originally shied away from Beartown b/c I didn’t love A Man Called Ove, but I recently put it on hold at the library when I figured out it was a sports story…and now hearing it’s Missoula crossed with You Will Know Me has me SUPER excited! Now I just need that hold list to hurry up! So I’m not crazy to put down A Man called ove? I am a few pages in and not overly excited. Beartown hopefully will catch me earlier! If you like audiobooks you might want to give this one a try. I struggled a bit with the book, but loved it as an audiobook. The narrator really nails the tone, in my opinion, and had me laughing out loud at Ove’s outlook on the world. YES! I listened on Audible and it was amazing! I agree it was wonderful on audio. I loved the story and enjoyed the movie. I’ve read three of his books and really enjoyed all of them. I’m a little hesitant about the latest as it is sport related but plan on trying it. I felt the same, until I listened on audio and absolutely loved it! A Man Called Ove gets better!!!! It is a wonderful story with many laughs and many tears!!! I love all of his books–I have read several–but really I promise!! It is wonderful! I honestly thought the same thing with A Man Called Ove; I was ambivalent for the first half of the book. But how much I started caring about him crept up on me, and by the last third I just could not put it down. I loved both. But I would say Beartown is very different in tone than Man Called Ove. Hope you like! I thought it was amazing! I did audio for both which I also recommend! I couldn’t get through “…Ove” on audio. I kept trying so I could see what others liked, but no goes. I hope by now you have read Beartown. I really enjoyed it and hope you did also. The Dry is SO good! It pooped up on the new arrivals shelf at my library a few months ago, and I devoured it! Glad to see it getting some love. Loved The Dry and it qualified for the reading challenge “place you’ve never been but would like to visit” category. Yes it is. It wasn’t overly predictable. Sad, funny and relate-able. I really liked The Dry. Looking forward to the next book. Just started reading Dreamland Burning this week after seeing the Summer Reading Guide. About 170 pages in and love it so far! I also picked up “My Name Is Lucy Barton” so that I can read it before checking out “Anything Is Possible”. Thanks for all the great suggestions! If I had blogged my own minimal list it would only have included “The Dry”. That said I requested half of the full reading list from the library. 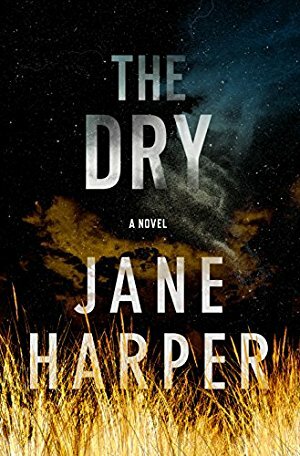 I can’t wait to read The Dry! I’m also excited to read He Said/She Said, I Found You and The Accident. 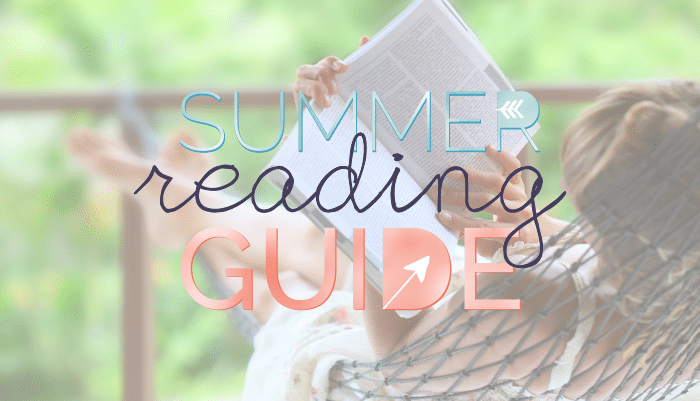 So many great books to read this summer-can’t wait! In general, I’m a minimalist, but when it comes to my reading list, I tend to go by the philosophy “the more the better.” I’m using library availability to narrow it down. Of the 5 listed here, I have “The Dry” on hold at the library, and I’m really excited about “The Almost Sisters” when it comes out. 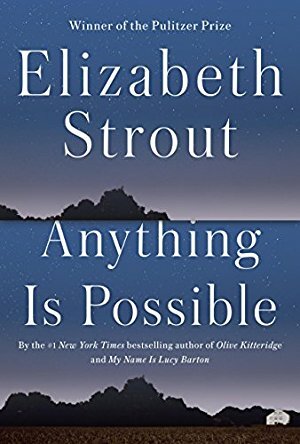 Love the minimalist list as there are three books on it that I’m definitely interested in reading – “Beartown,””Almost Sisters,” and “The Dry.” Absolutely no interest in “Anything is Possible” as I really was not fan of Lucy Barton. Then again my favorite of her books was “The Burgess Boys” which seems to be one of her least talked about books. Me too! I’m planning on picking up “Beartown” and “The Dry” at the library in about 2 hours. 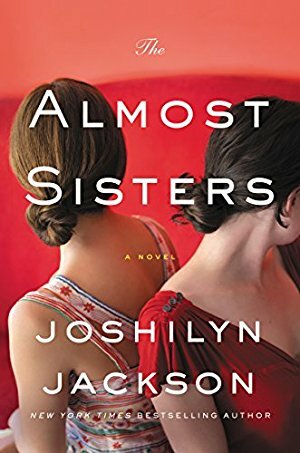 I’m also thrilled to see that my library is ordering “Almost Sisters”. Really, I think of my librarian book-picker as my secret best friend because he/she stocks our small town library VERY well. I just did not like My Name is Lucy Barton. I felt like that book was so dark. Not as in evil, but as in always grey skies, cloud covered without any peaks from the sun. I felt like the characters had no hope. The book left me sad and down. I think I’ll be skipping Anything Is Possible. I agree. My Name is Lucy Barton was depressing. I really loved Olive Kitteridge though. I didn’t even realize it was the same author. I, too, love Olive Kitteridge. I really hated ‘My Name is Lucy Barton ‘. It didn’t seem like there was a story that went anywhere, the mother/daughter relationship was a puzzle that didn’t resolve, or it just went way over my head. But I LOVED ‘Anything is Possible’. There’s no overarching story that ties the chapters together, but the recurrence of the characters ties them together. It beautifully written, in a spare clear style. The chapters are chronological (with a lot of flashbacks) so you can see the recurring characters move on with their lives. They are generally honest with themselves and open to change. Anyway, a completely different experience for me than Lucy Barton! I am so excited for this list. I loved the Summer Reading guide but since I can be so indecisive, I really love that you’ve narrowed it down to these five. I’ve already put some of these on hold so we’ll see what comes in first at my library and I can’t wait to get started. I so enjoyed the five books last summer. Thanks for all your recommendations. Because of you, my TBR list is long…a great problem to have! Always so excited to have a new Joshilyn Jackson book come out – and then extra excited when she gets some love in places like this. She deserves the mention! 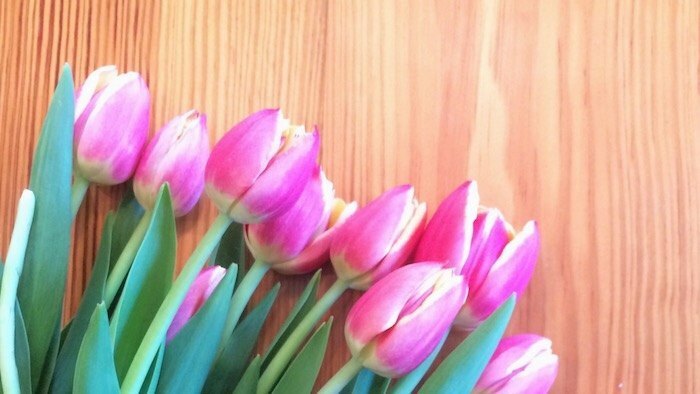 And I already picked up The Dry for spring break after your podcast recommendation – so good. I cannot wait to read The Almost Sisters. In fact, I think I’m going to fangirl myself to Joshilyn’s launch party in Decatur because it’s only an hour and totally worth it. Thank you for doing a “bite size” list. I am a rather slow reader and the longer list was intimidating! I added these to my TBR. Looking forward to them! almost sisters sounds like a great read, i am sure it’ll soon be a movie!!! I had picked out my top 5 prior to this list and only had one difference! I chose The Lost Book of the Grail over The Almost Sisters, but what will one more hurt, right? These are the 5 that I would pick if I only got 5! Although I did already read The Dry after hearing about it on the podcast. And I did love it!! Thank you so much for sharing this 🙂 I will definitely be picking some of these books up! The one I want to read the most is “Dreamland Burning”, it sounds very interesting and mind opening – I also like the spin on how the author has chose to write/present it. After The Dry was recommended on WSIRN I decided to give it a go even though its not the usual type of book I would read. I COULD NOT PUT IT DOWN. As an Aussie I really enjoyed reading about a familiar environment and thought it was a great read. Cant wait for the next book from Jane Harper. THANK YOU for this!! All 5 of these had made my initial cut from the larger list. I can’t wait to read all of these with you all! I will definitely check out some of these recommendations. But want to throw in my two cents for a fantastic pick. Read Practicing Normal by Cara Sue Achterberg. Cara’s ability to develop a story through character development draws the reader into the story. You get so involved with the characters and their reactions and relationships that, in no time, you’re lost in the story. By lost, I mean that you want to keep reading. Anne, just a heads up that some people prefer not read a lot of profanity. I tried to get into Beartown but found it offensive. I really enjoy your blog and book recommendations but would like to have the knowledge ahead of time about profanity. I’m glad I got it from the library and didn’t buy my own copy. Those kinds of things don’t always show up just flipping through a book. Love this short list! 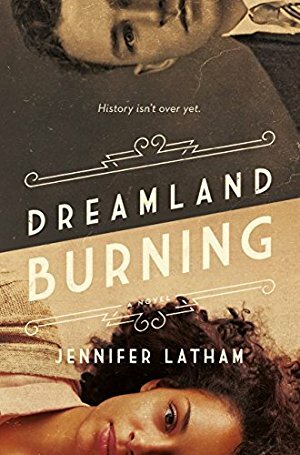 I read Dreamland Burning and it was amazing! I am on hold at the library for The Dry and Bear Town. I did not like My Name is Lucy Barton, but I may eventually give this one a try! I love the plot of ‘Almost Sisters!’ Definitely picking up the book!